Los Gatos High Interact students joined forces with our Rotarians at Hillbrook Elementary school to support Stop Hunger Now. 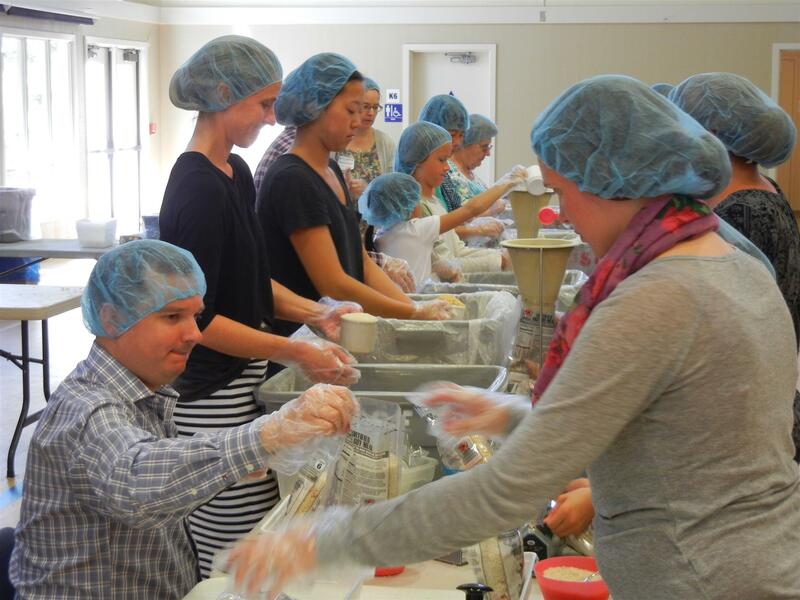 The day at Hillbrook School was a huge success with over 15,000 meals packaged! Stop Hunger Now meal packaging events are a volunteer-based program that coordinates the streamlined packaging of highly nutritious, dehydrated meals comprised of rice, soy, vegetables and 23 essential vitamins and minerals. Meals are distributed to children in developing countries.